You know that your ideal readers are out there, waiting for you to tell them how to get your content in the easiest, simplest way possible. It’s just a matter of finding them and showing them the way. That project can seem like an insurmountable task, unless you have a clear-cut plan and way to locate them quickly and give them the goods! Creating an effective social media map is the first step to creating an easy path to your ideal reader’s eyeline. But once you create that, we have an even simpler way to use Facebook to help perpetuate your digital views and subscribers. 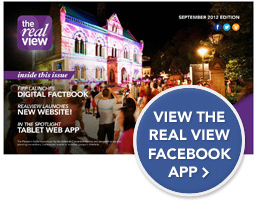 The Realview Digital Facebook App is a feature we include for our clients that allows your readers to share a specific piece of content from your publication directly onto their Facebook wall. You, the publisher, decides how much they can share (one article or the entire publication) and how long they can share it for (one hour, one month). When one of their friends decides to look at the shared content, they are automatically prompted to share their email address with you, showing they are genuinely interested in your content and letting you build your list of your ideal readers. When their time is up, they are invited to subscribe. This all happens directly on Facebook, without you having to do anything other than publish your content! The beauty of this feature is that you can track new, interested readers who want to know more about your publication and create a powerful sharing trend for your publication. Your advertisers can gain an impressive ROI with this feature as well, and can take full advantage of it in the process. Want to know more? Contact us and we’ll tell you how it works!